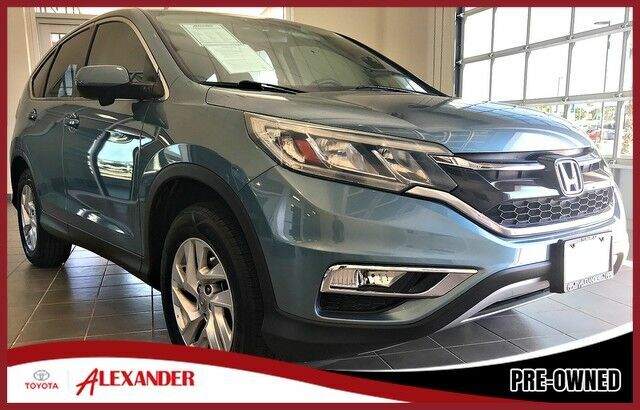 This 2016 Honda CR-V is offered to you for sale by Alexander Toyota. The paint has a showroom shine. This vehicle has all of the right options. With just 47,394 miles, this car is barely broken in. Purchase pricing does not include Sales Tax, License, Title or $499 documentation fee. Pricing includes any available factory customer cash rebates. All pricing and details are believed to be accurate, but we do not warrant or guarantee such accuracy. Vehicles are subject to prior sale. The prices shown above, may vary based on current incentives and are subject to change. Vehicle information is based off standard equipment and may vary from vehicle to vehicle. Please verify all information with our internet team. Call or email for complete vehicle specific information.